Wayne R. Barlow, age 73 of Raynham, passed away on Friday, September 14, 2018 at Life Care Center of Raynham with his family by his side. He was the beloved husband of Janice E. (Ignatowicz) Barlow. Wayne was born in Brockton, a son of the late F. Raymond and G. Edith (Thal) Barlow. Mr. Barlow served in the United States Army overseas in Germany from 1964 to 1967 where he drove a tractor trailer transporting goods between US bases in Germany and France. After serving, he drove a tractor trailer throughout New England for 30 years and was a member of Teamsters Union Local 25. Following retirement, Wayne worked at MJ Machine in Bridgewater, MA for 16 years part-time. Wayne (“Wayno”, “Boppa”) was a very hard-working man his entire life; aside from his job, he was known for his ability to fix and keep running just about any machine made (especially his kids’ cars). He was his own inventor, making things around the house to make life more efficient. Often a man of few words, when Wayne did tell stories, he always added his own sound effects which were quite accurate. Besides his love for his family, Wayne was most passionate about sailing. In his free time, he spent his life sailing off the shores of Pocasset and from the Shawomet Yacht Club in Dighton, Massachusetts and was the very proud owner of his sailboat “September Morn”. 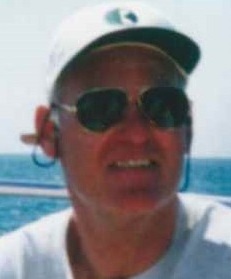 Besides his beloved wife Janice of nearly 48 years, he is survived by his loving children, Lisa Sherman and husband Benn of Attleboro, MA and Kristin Clapp and husband Justin of Middleboro, MA; three grandchildren, Benny Sherman, Jake Sherman, Matthew Clapp; a sister, Nancy Guimond, of Pocasset, MA; several nieces and nephews; and two granddogs; Indiana and Max. Mr. Barlow’s visitation will be held on Friday, September 21, 2018 from 10:45 am to 11:45 am, in the Silva Funeral Home, 80 Broadway (at Saint Mary’s Square) Taunton. Committal service and interment with military honors will follow in the Massachusetts National Cemetery, Bourne, MA. In lieu of flowers, memorial gifts made to; Sailing Heals, INC. 5 Winchester Street, Bradford MA 01835 sailingheals.org, in Wayne’s memory, would be deeply appreciated.